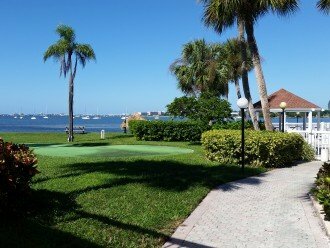 2 Bedroom Condo Rental in St. Petersburg, FL - SALE: May-Dec 2019 $1700/month! @ , Pools etc. 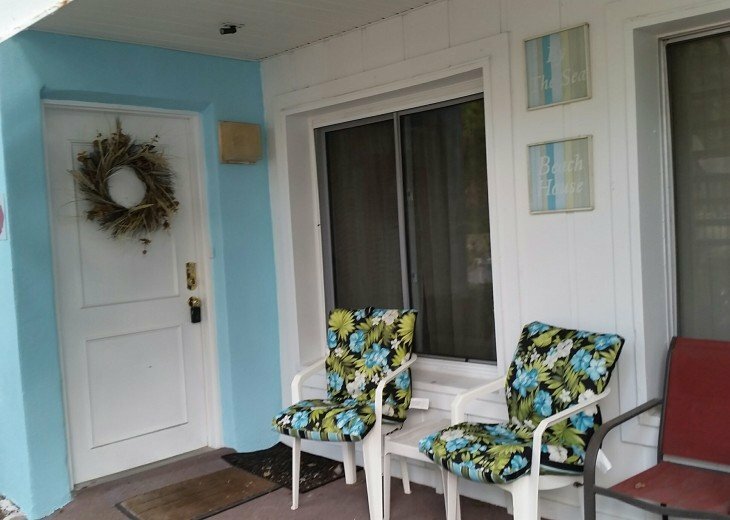 SALE: May-Dec 2019 $1700/month! @ , Pools etc. Living Area: 1123 sq. 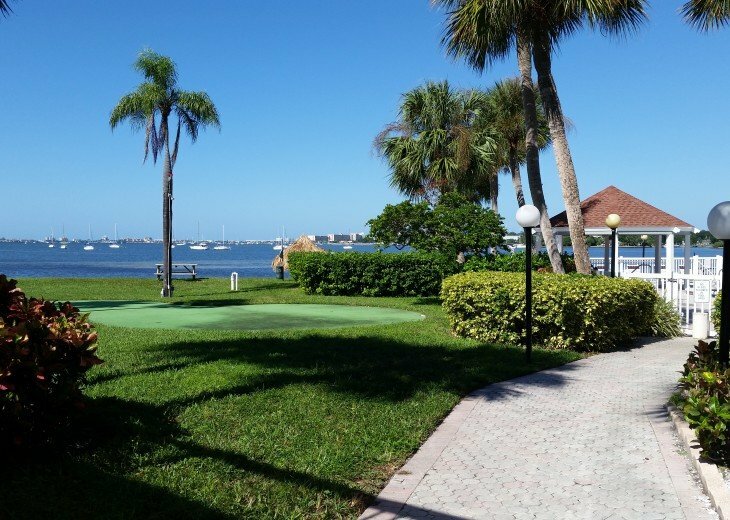 ft.
A quiet tropical secure gated community on Boca Ciega Bay with a private BAY beach. 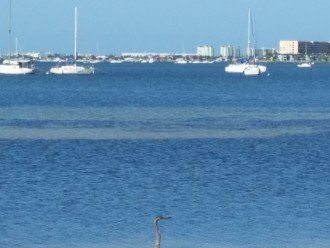 Close to Gulf of Mexico's finest beaches. 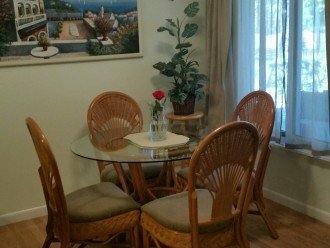 Close to stores, dining, bus line, etc. 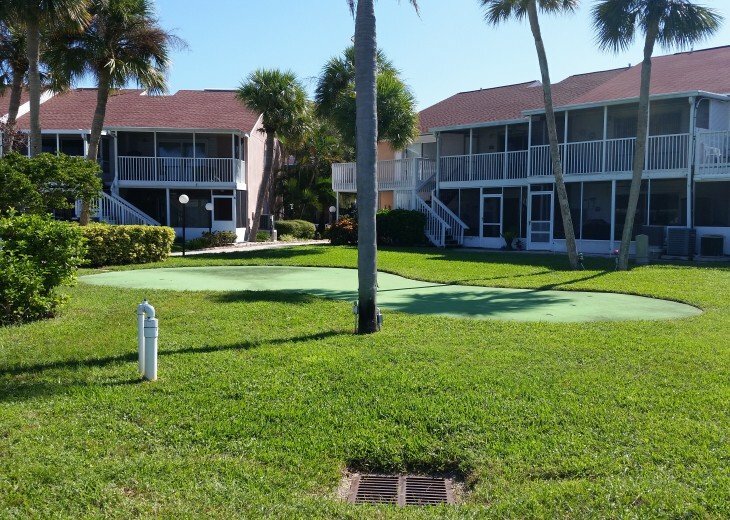 2 Heated pools, hot tub, racquetball/lighted tennis courts, putting green, playground, shuffle board, clubhouse. Great for someone relocating, moving, military, retirement, close to hospitals for family, bay fishing, traveling nurses, seniors, golfers, tennis, pickle ball, long holiday, vacation, etc. Please read all the way thru for short term rentals. Immaculate, spacious furnished Ground level (no stairs! ), quiet condo w/ 2 BR with new carpet(queen size bed in one, 2 twin beds in the other, 2 full baths. 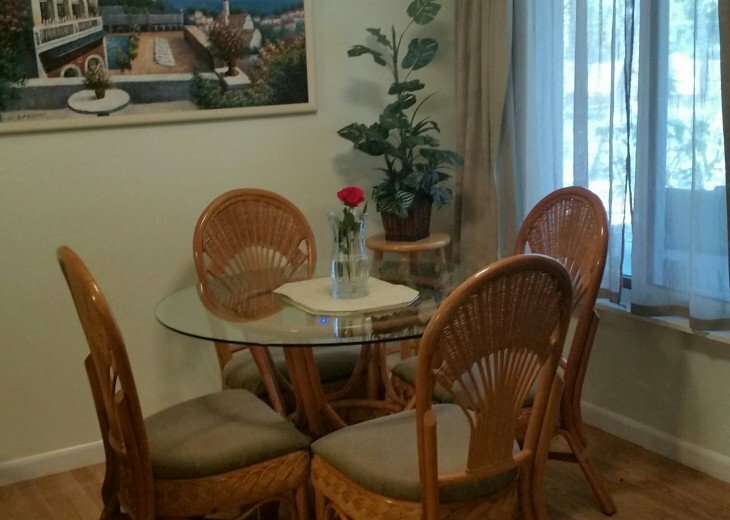 Living/dining area, full kitchen w dishwasher, microwave, coffee machine, washer/dryer in unit. Linens and dishes provided. 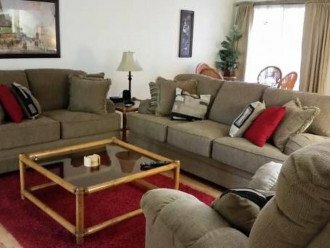 Ceiling fans, heat, A/C, free unlimited long distance in USA or Canada, 3 TV's/DVD/Digital Cable, high speed WiFi Internet, screened in patio with BBQ. Almost at your front door, literally just 20 steps or so! Clam Bayou Nature Reserve Park. Enjoy long walks, paved in a Nature Reserve! Waterways with manatees (in photo), dolphins, birds, fish, and other wildlife. Very scenic. Also Gulfport for more manatees and dolphins. 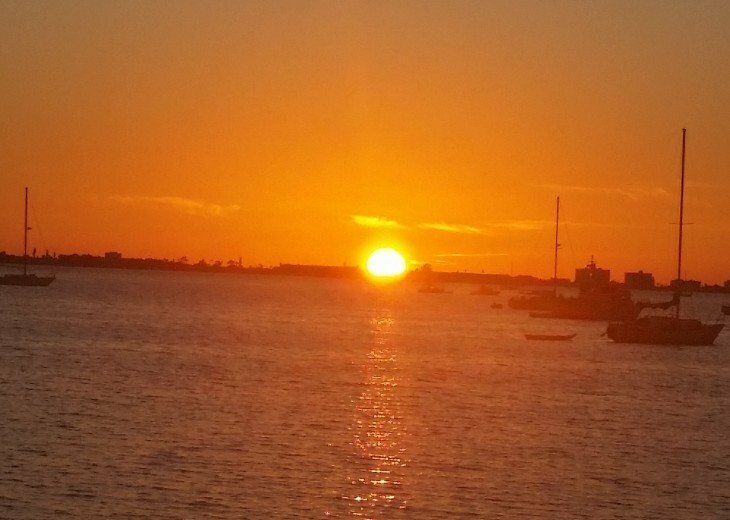 Bermuda Bay is located in a central area with so much to do! 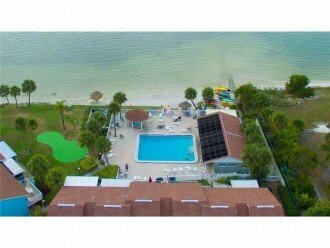 Swimming, tanning, shelling, volleyball, fishing, tennis courts, racquet ball court, playground, picnic areas, shuffle board, putting green, walking, jogging, sunset watching, dolphin watching, bird watching, boating, snorkeling, fishing, water skiing, jet skiing, club house. Nearby golf, beaches, biking, parasailing sailing, shopping, sightseeing, food, fast food, church, entertainment, arts. We even have an on site car wash station complete with vacuum to vacuum any traces of sand you may have in your car. 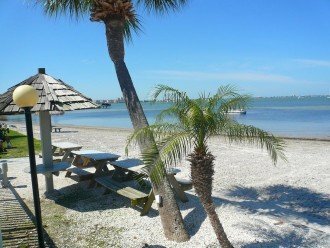 Check out Fort DeSoto State Park and Beach. One of the 10 ten beaches in America! And of course Disney World Epcot Center, Universal, MGM, and Sea World -90 minutes, Busch Gardens Lowry Park Zoo Shopping Outlet Stores - 20 minutes. Spectator sports are abundant, Dog Races Tampa Bay Buccaneers, Tampa Bay Lightning, and Tampa bay Devil Rays are also just minutes away. 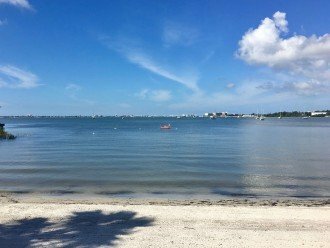 Nearby Pinellas Trail, hosts 47 miles of pavement to walk, run, bike, jog, or roller blade. Golfing minutes away along with concerts, plays, museums. The list can go on and on. Close to everything. St. Petersburg is the hub! You name it! You may even find some time to relax. 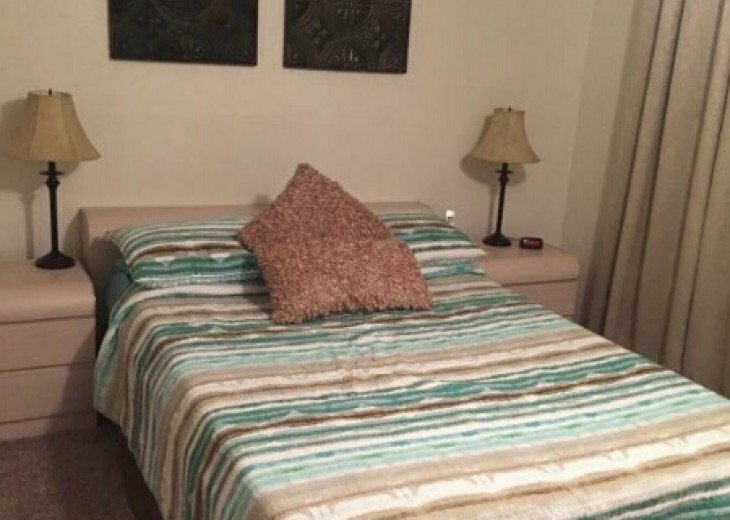 RATES (for up to 4 people) Check in is on the 1st of each month. May - Dec 2019 $1700/month. Available beginning June 1st. Jan - April 2019 $3200/month. May - Dec 2020 $2000/month. You will enjoy this condo more than a hotel. Let's talk! Holidays and extra people above 4 may cost extra. $150 cleaning fee. 13% tax. $300-$500 refundable security damage reservation fee deposit. Credit or Debit card/paypal processing fee 4%. Inquire now for information. I can only rent condo out once a month. Sorry, no smoking anywhere at my property. Thank you. No pets. (per HOA rules.) No events. No parties. Contact me soon to plan a great vacation rental. I do suggest travelers get travel insurance. You never know when you may have an illness or a conflicting emergency and having insurance will give you that piece of mind. There are many on the internet to check out. The best weather. It's "ALWAYS SUMMER". 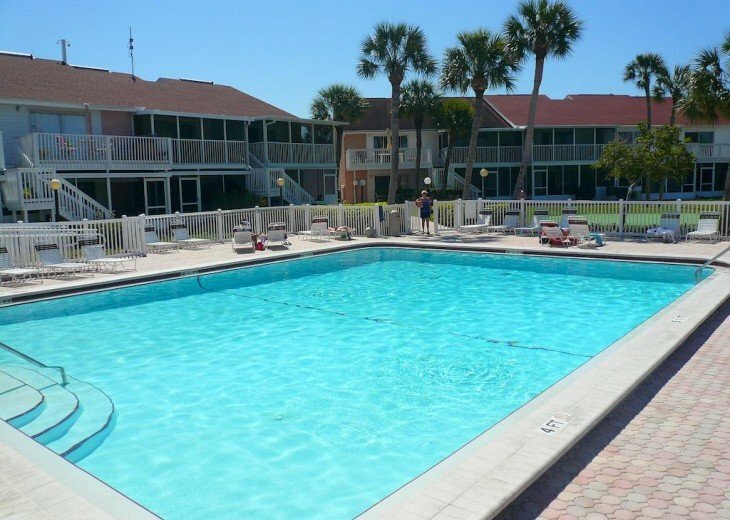 2 pools, a great hub area for Disney/Busch parks, and beaches. Playground, lots of areas to run around. We are close to everything and feel St Petersburg is a great hub. Some places within walking distance: Stores, Walmart, Publix, Dollar Tree, Anytime fitness center, Several Restaurants like Dunkin Dounuts, IHOP, Subway, Brew Burgers, McDonalds, Beef o Bradys, Domino's, Papa Johns, New York Bagel and Bread, China Wok, Portofino Italian Restaurant, Pizza Hut/WingStreet, SkyWay Diner, Bob Evans, Taco Bell, Wendy's, Burger King, The GetaWay at Maximo, Spirits/Fine Wine, Ace Hardware, Storage Units, Clam Bayou Nature Preserve next door, Golf Course, Car Wash, Police Station, Armory, Pharmacies, Salon and Spa, Insurance companies, Radio Shack, Chiropractor, Pet Grooming, Aldis Market, UPS Store, Optometrist, Bealls, Hotels, Sally's Beauty Supplies, St Petersburg College, Chase Bank, Pet Super Market, Hair Cuttery, Cleaners, GNC, A few cell phone stores, Nails, 7/11, CVS, Sunoco Fuel Station, Mattress One, Fantastic Sams, Bayway Dental, Brake Express, Adult Store, Furniture Store, Dialysis, Several Churches, Maximo Marina, Gulfport Marina. So many more places, too many to list. I love to go to Bill's Stone Crab in Tierra Verde and eat at the bar. My favorite item is their coconut shrimp! Then down to their live music for a little dancing. Inside Scoop.......When I think of "Scoop" I think of ice cream. There are a few places I always hit for my favorite dessert. 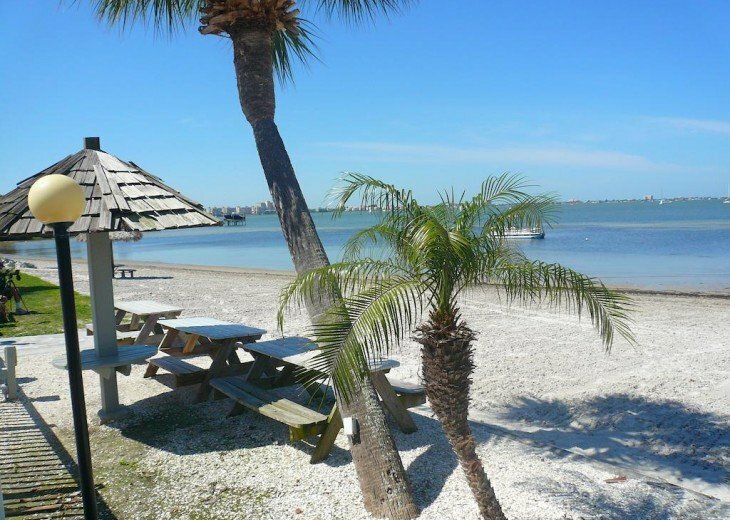 In Pass a Grille I always get a scoop at the Paradise Sweet Shop, and in Treasure Island I always stop for ice cream at Super Scoops . Refundable Security Damage Reservation Fee/Deposit $300-$500 depending on length of stay, number of people, etc. $150 cleaning fee. If you use a card as payment or use Paypal, it must be your own and there is a 4% processing fee. About the owner: I live in Salt Lake City Utah and I love it here, but I also love being near beaches. Besides this Florida vacation rental, I also own a vacation rental in San Jose Del Cabo also. If you are interested in it, just ask me. To Whom It May Concern, I would just like to say that I stayed at LeeAnn's condo in Florida and was extremely pleased It was very clean, very cozy and had all the amenities, towels, sheets, etc, anyone would need I especially liked the fact that it had two bedrooms and two baths, also two TV's There was a lovely screened-in porch and a grill It was very easy to find from the airport and close to stores and shopping LeeAnn herself is very pleasant to work with and made it easy to find my way around I was a little worried about finding a place over the Internet She always got back to me in a timely fashion and made the experience very pleasurable Sincerely, Beverly Weaver Thanks again for the condo-loved it! Thank you so much for your kind words! It is always a pleasure to know that people appreciate my place, and the effort that I put in to making sure that all goes well, and that folks have a great stay I certainly hope that you all will come back in the future Thank you again! 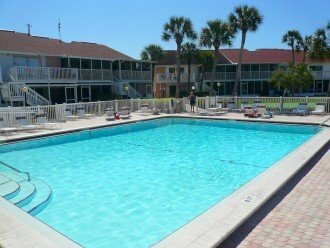 This condo has it all Location, quiet, paths, private bay beach, pools, hot tub, BBQ, washer/dryer, close to shopping and dining and activities Stay here! LeeAnn was wonderful to work with... any questions or issues we had were addressed in a timely manner. It was obvious that she wanted to be sure we enjoyed our stay. The condo was comfortable with a small screened in porch with a Southern exposure that I was able to use as a studio for painting. 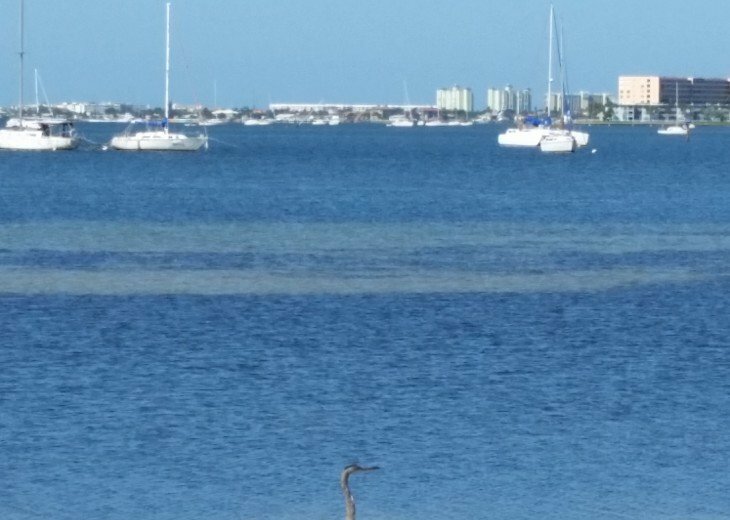 The location is great, with bicycle and walking trails that go all the way to Gulfport, downtown St Petersburg and St Pete beach. The large swimming pool, tennis courts and racquet ball court, plus large laundry are right there and the hot tub, beach, club house and other pool are very near with bonus sunset views! 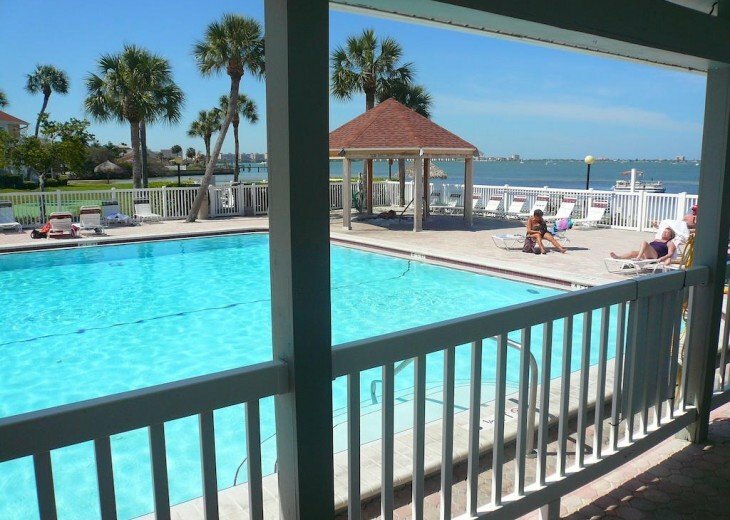 However, you will love the location and find that the amenities, the Florida sun and temperature and the art venues, restaurants, parks and beaches will have you wanting to come back next year and this is a great place to stay!!! We’ve stayed in this community two years in a row while on orders at MacDill AFB and we’ll be back again (20-30 minute drive to/from AFB). 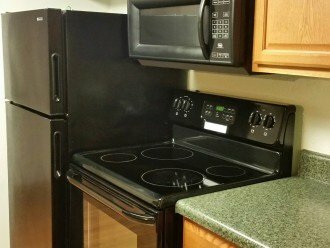 This condo is on the main floor of the building.. Our home kitchen was being remodeled when I left and it was nice to walk into a kitchen that was fully functional and fully equipped with everything I needed to cook meals again. It's a 10 minute drive to Gulf beaches. We stayed with our sons (10 & 8). 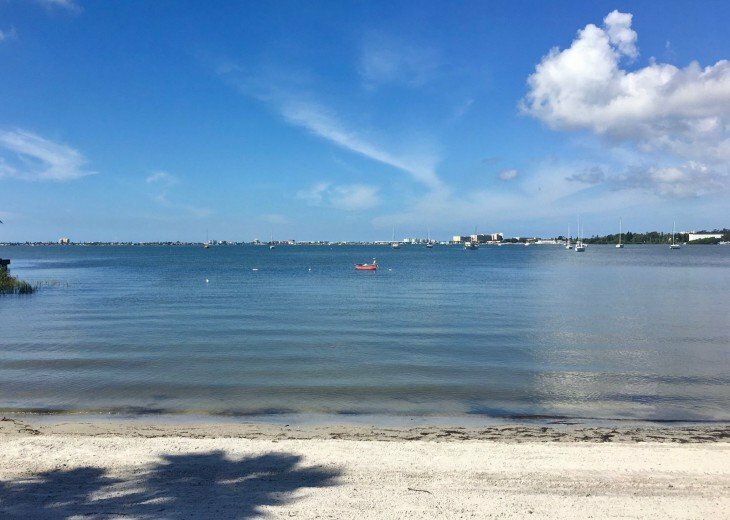 We spent a lot of time at the pool and playing football on the beach (on Boca Ciega Bay) and were on the nature trail that edges up to the property every day. We’ve seen dolphin, birds, gators and lots more (the jury is out on whether we actually saw a manatee or not.) We were there over 4th of July and the fireworks over the bay (shot off in Gulfport) were spectacular; pack a cooler, bring some lawn chairs and hang out with the crowd along the shore. Being on the main floor we were able to use the BBQ grill, which was a nice option to have. 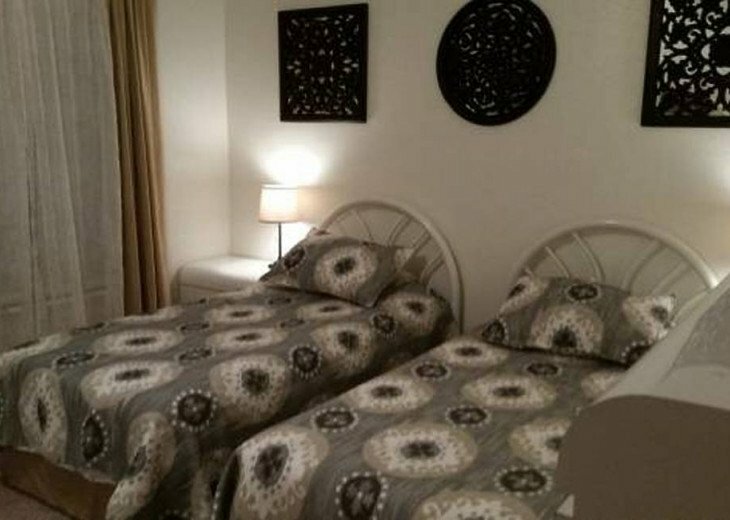 LeeAnn was great, very responsive and staying in her condo felt like staying in a relative's home. We were very pleased that the units were very quiet so we had a restful week. 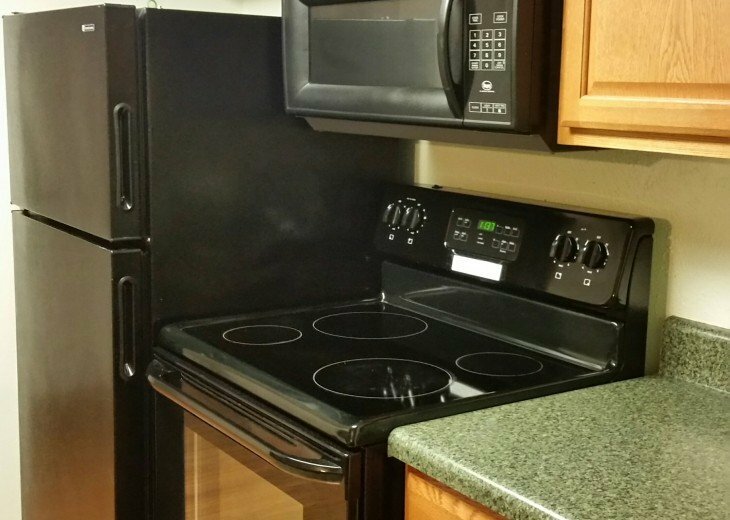 Your unit was also very clean so your maid service is doing a great job and no bugs! We spent the previous week in a five star resort at Orlando (expensive!) and it had real bug problems so we were glad to have no little critter visitors. We also had a great time shopping! We even found the Home Shopping Network outlet store on Hwy 19-since my mom is a fan of Home Shopping, this was a highlight for her and we all got some amazing bargains. Is there plenty of parking at the condo? Yes, you can almost always park right in front of your own door. There are no condo buildings to the west or to the north so amply parking is available near this building. You will pick up a parking pass from our office to display in your windshield so you will feel at home. How close are you to the airports? The St Petersburg/Clearwater airport is only 16 miles away, and the Tampa airport is 23 miles away. Is it safe at this complex? Yes, we have a security gate and guards who are at the gate and also roam the property during their shifts. I have always felt safe even walking after dark in this complex. As always, use caution like you would if you were at home. Thank you Graham, You've come many times and it's great to know you will be back again. You have always been great tenants. Repeat business is the best review I can achieve.